LOS ANGELES (Hypebot) – Superstar rapper Lil Wayne has become the newest co-owner of Tidal, reports Forbes and premiered a new song exclusively there.“Glory,” is the first single from FWA (Free Weezy Album) which will be given free to fans as he battles with his record label in court. It's been a rocky month for Tidal, but Jay Z & Company seem to be pushing past the controversies. 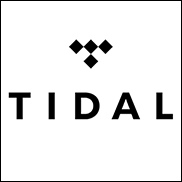 Tops execs are having smarter interactions with the press and industry, as well as, working to improve Tidal to make it more artist and user friendly. Previously mobile-only, the new Tidal beta desktop player is compatible with both Windows and Mac. It adds gapless play, support for media keys and sound output management. It also detects and supports audio sources including Mac Airplay and Digital Audio Converters (DAC).